When I began fly fishing a decade ago I didn’t expect it to deepen my appreciation of Celtic spirituality, which I have been studying informally for a quarter century. To my intense delight, I discovered that casting fur & feather with a fly rod is not only compatible with, but sympathetic and complementary to, the spiritual world view of my ancient ancestors who inhabited the ‘pure shattering beauty’ (the words are W.D. Wetherell’s from his essay Two Places Well in Upland Stream) of the Scottish Highlands. As a result, fly fishing has become, for me, an essential, purposeful, meaningful activity: a ritualistic act of reverence, a ceremonial form of communion at the altar of nature. With this in mind, I choose to view fly fishing as a calling — following Thomas McGuane’s example in a talk he gave at Montana State University in the spring of 2016 — rather than as a sport, pastime, recreation or anything else. I know there will be fly anglers who think this is absurdly highfalutin. So be it. 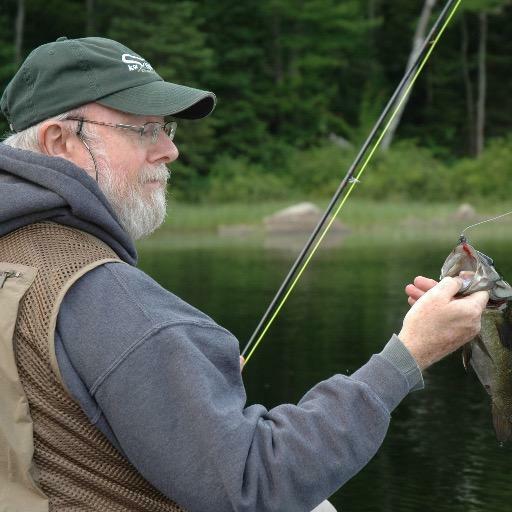 Even the heathens and pagans, not to mention the atheists and agnostics, among fly anglers must concede, however reluctantly, that the activity has significance beyond catching as many fish as possible. Otherwise, why not simply drown worms beneath bobbers or merrily flog away with hard tackle dangling from the ends of spinning rods? Believe it or not, the sacred world view of the ancient Celts offers a sliver of insight into why fly fishing has a meaningful purpose for many anglers that transcends all other methods of recreational fishing. Let’s begin with fish. Long before fish were appropriated by the early Christian scribes as potent and evocative symbols, the Celts honoured salmon (Salmo salar). Salmon played a vital role in the Celtic imagination as a vessel of otherworldly wisdom, notes the Dictionary of Celtic Mythology. I have never landed a salmon — a dream still yet to fulfill. However, I can’t say I feel any wiser after landing a trout, steelhead, bass, pike, pickerel or muskie. But I can say I never feel more intimately connected to the fierce, elemental, primordial vibrancy of life than when I hold a fish in the palm of my wet hand as I remove a single, barbless hook and release it as carefully as I can. I experience a primeval shock of recognition irrespective of size of fish. For me, this act represents an abiding reverence for life. Although salmon (not to mention migratory rainbow trout) swim from salt to fresh water to spawn, in the very water in which they were born, Irish and Welsh traditions generally depict them as inhabiting sacred wells, pools, waterfalls and rivers. Similarly, fishing for salmon is imbued with mythical significance in numerous ancient tales passed down orally from generation to generation long before the written word. Few are the anglers who have not experienced a powerful, ineffable feeling when wading a river and waving a fly rod, especially at dawn or at dusk. The reason is that, beyond the physical elements of wading (the sensation and sound of currents flowing in, through and around your body) and the rhythm of casting, rivers are metaphorical — figurative as well as literal, emblematic as well as materially real. Rather, these intuitions swim below the surface of consciousness, like fish below the surface film of a river. After all, fly fishing is enacted where the seen and the unseen, the known and the unknown, meet on the surface of Mystery. Humans and salmon interact in a variety of ways in the Celtic imagination. For instance, there are legends in which humans are transformed into salmon (a modern adaptation is T.H. White’s The Sword in the Stone chapter in The Once and Future King when the magician Merlin transforms Wart, the young Arthur, into a fish as part of his initiation). Commentators have been unable to explain the mythic power of salmon. But it’s apparent the instinctual act of swimming between salt and fresh water implies a capacity for passing between worlds. No wonder fly anglers gravitate toward the threshold times of dawn and dusk (known in the Celtic world as the gloaming), when the boundary between our world and the otherworld is believed to be gossamer thin. The great Irish poet William Butler Yeats was not a fisherman, that I know of. However, he was an inspired explorer of the Celtic world and became a leading figure in the Celtic Twilight that washed over Ireland at the turn of the last century. 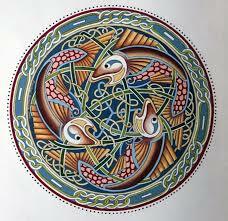 He had a sense of the mythic potency of trout, to which he gave expression in a couple of enduring poems, The Song of Wandering Aengus and The Stolen Child. Admittedly, viewing fly fishing in mythic terms, Celtic or otherwise, might be too wild an imaginative leap for some fly anglers. But there’s a powerful connection between the way ancient Celts related to the natural world and the way ecologically aware fly anglers relate to the natural world through philosophy, values and practice, both on and off the water. So let’s consider how the distant Celts — inhabiting the margins of the civilized world in what is erroneously dismissed as the Dark Ages — viewed nature as an expression of spirituality. This brief overview is nowhere close to comprehensive. Rather, I hope my thumbnail account whets the interest of fly anglers enough to send them prospecting for knowledge rather than fish. I’m eager to learn how other anglers apply a Celtic world view to fly fishing. Celtic spirituality has its roots in the Stone Age, long before the Romans introduced Christianity to the British Isles between the second and seventh centuries — sometimes referred to as the Age of Saints. The Celts were deeply religious. They made no distinction between the secular and the sacred, believing they lived in a hallowed world. Consequently, all of life (animate and inanimate alike) was invested with spiritual significance. The early Celtic Christians continued reading from the Book of Nature as they began reading from the Bible, especially the Gospels of the New Testament. For these Christian converts, the Divine permeated all aspects of life; the presence of God was the most immediate reality in their lives. The world and everything in it was God’s creation. Celtic spirituality was rooted in nature; its connection to nature was cosmological. The poetry of early Celtic Christian writers was nature poetry; nature provided clues to the nature of God because it was His creation. Before the arrival of Christianity, the Celtic landscape was holy as confirmed by sacred wells, rivers, groves, trees and stones. Ancient stone crosses and high crosses, not to mention early monasteries and churches, were built on consecrated ground considered sacred by pagan Celts. 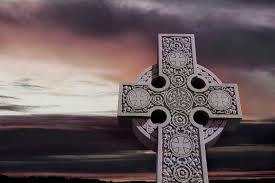 The magnificent Celtic crosses that continue to imbue the landscape with a haunting beauty often feature Scriptural imagery (gospel narratives) on one side and Creation imagery on the other. The Celts maintained a close relationship to the creatures of land, rivers, lakes, seas and sky. This was not a Walt Disney fantasy world; it acknowledged the ferociousness of the natural world and the fierceness that resided within the human heart. Many Celtic saints nurtured close relations with wild animals, fish and birds, an appropriation of pagan gods and goddesses who were shape-shifters with powers to transform themselves into birds and animals, which were considered sacred messengers. Birds and beasts, both wild and domestic, were prominent images in Celtic art. When language became written, the Celtic alphabet, known as Ogham, incorporated three sets of vowels comprising 20 letters with each letter bearing the name of a tree or a plant. Celtic spirituality should not be confused with pantheism. In contrast to such English Romantic poets as William Wordsworth and Samuel Taylor Coleridge or to such New England transcendentalists as Ralph Waldo Emerson or Henry David Thoreau, this was not nature worship, but Creation worship — Creation being the embodiment of the Creator. 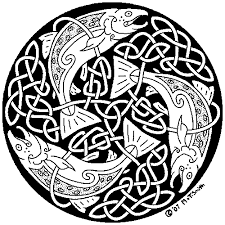 Following the spirit of my Celtic ancestors, I’m not worshipping the river and the fish, the insects, the birds and the animals, the rocks, the trees and the plants when I’m standing in a river, waving a fly rod. While I might be casting at the altar of nature, I’m worshipping the Creator who is immanent and made manifest through the natural world. Consequently, I feel more spiritually alive on a river casting fur & feather than I do in a church. Of course, the Celts existed long before the Renaissance, the Reformation, the Age of Enlightenment, the Industrial Revolution or the Information Age. They lived not only close to wild nature, but in wild nature. They were of wild nature and their world view and spirituality were creative responses to that intimate contact. Nonetheless, I believe strongly that elements of Celtic spiritually remain urgently relevant at a time when the planet is under siege with humanity exterminating untold animal and plant species at an alarming rate. Moreover, I believe that, as fly anglers who rely on nature, we have a moral imperative and ethical obligation to act as responsible stewards. We need to hold the world in caring, attentive reverence as a sacred place. We need to practice what Blake implied more than two centuries ago when he declared: ‘ever thing that lives is Holy’. You don’t have to be a fly angler to take to heart what this visionary poet (believed by many in his day to be mad) wrote. But it works for me. I recognize I’m preaching to the converted with respect to the overwhelming majority of fly anglers. Proselytizing from an ecological soapbox, however well-meaning, is not the Celtic way. Rather, I ask my fellow fly anglers to remember the ancient Celts the next time you cast lines on the water.